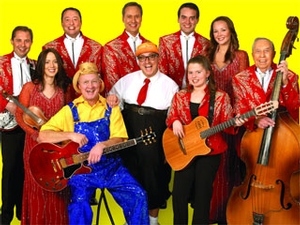 The Branson Strip's longest running show, Presleys Country Jubilee is a musical-comedy show for all ages. Incorporates all the good 'old-tyme' country Branson show features like singing, dancing, boots, sequins and great comedy. The generations of the Presley family include the old-timers Gary and Steve. The younger audience will enjoy the third generation of Presley’s performing music that appeals to the teens. Get there early for the warm-up show with "Harley and Rick" a favorite with the kids. Be sure and experience Branson's Original show on Highway 76, Presley's Country Jubilee Show!